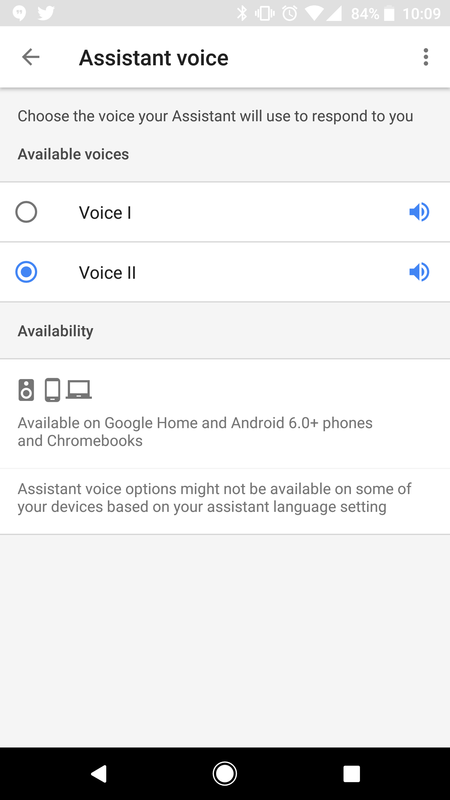 Once you set the voice, you will hear either the female or male voice on all of your Assistant devices. If you don’t see this option just yet, first make sure that you’ve updated both the Google and Home applications. If it still isn’t there, wait until morning. It should be live (hopefully) for everyone before Google’s Pixel 2 event.